Moving to Ghana - Compare International Movers & Save up to 70% ! Like any international move, Moving to Ghana require a little preparation. A move to a new location can be a daunting experience, so it is always useful to have a little information about your destination upfront. Ghana is located in West Africa. Cote d’Ivoire is bordered to the west of Ghana. The economy of Ghana is based on the export of bauxite, diamond, electricity, timber, natural gas, crude oil and cocoa. Ghana is located nearby the Equator and has a warm climate. There are four international schools located in Ghana. Two in the city Accra and two in Tema. Intlmovers is an easy way to compare international moving companies that can help you with your international move to or from Ghana. You can save time and money, because you can compare quotes quickly and easily from up to six international moving companies at once to move you to Ghana. Complete the easy request form and receive quotes directly for international moves to Ghana. The international moving companies have years of experience with moves to Ghana. 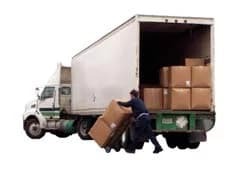 Get the best mover for your move to Ghana! You can save a lot of money by comparing quotes for your move to Ghana. By comparing the quotes that you receive, you can quickly see the different services that are on offer from the different moving companies and make sure that you get the best value for your international moving budget.